Summer is here and many of us are enjoying very hot days. 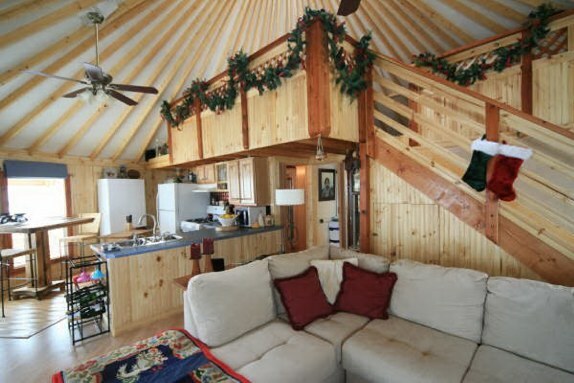 Think of your yurt just the same as you would any other building. If people use air conditioning in buildings in your area, you can use it in your yurt also! If you live in an are in the dry western states where people use swamp coolers, you can use a swamp cooler in your yurt! If you have one of our Fortress Yurts, you already have window frames to work with. You could install an air conditioning unit or swamp cooler in the frame under your window. Please call or e-mail us if you would like help with this. I have also seen portable air conditioners that would work well in yurts. They are free standing units. A little searching around on the internet will show you many options. In some areas fans are enough to keep things cool in the summer. That is what we use. We have windows in all four directions to catch a breeze when there is one. We also have a fan that we can turn on when there is no breeze. It works very well! You can use a portable fan, or install one to your rafters. Another very important detail is insulation. Insulation helps keep us cool in the summer as well as warm in the winter. 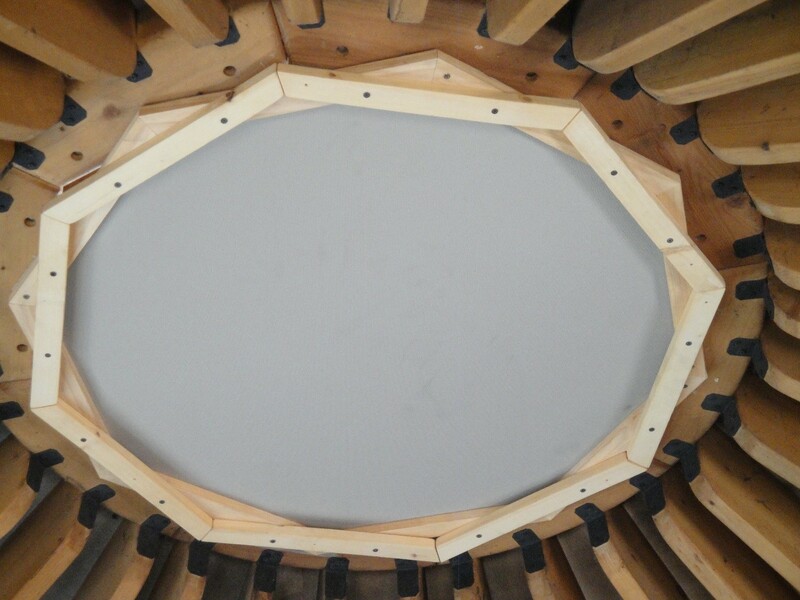 One source of overheating in a yurt is through the clear acrylic dome. We don’t like the tinted domes because then you can never see out and see the stars at night. What’s the point in having a dome? Our remedy for this was to create a framed and insulated shade panel that attaches to the center ring. We only use it in the very hot months of summer, and we easily take it off the rest of the year. Do you have ideas about how to stay cool in your yurt? We would love to hear them! How Important is Window Placement?